c. Supreme authority and sovereignty retained by the Kingdom of Spain. ↑ 2010 Census Data. "2010 Census Data". 2010.census.gov. Retrieved 2011-10-30. ↑ "U.S. Department of State. Dependencies and Areas of Special Sovereignty". State.gov. Retrieved August 14, 2010. ↑ 7.0 7.1 "Penn World Tables - PWT - Version 7.0". University of Pennsylvania. Retrieved May 2, 2012. ↑ 8.0 8.1 "Government Development Bank of Puerto Rico, May 2011" (PDF). gdb-pur.com. Retrieved June 2, 2011. ↑ "Carta Autonómica de 1897 de Puerto Rico". Lexjuris.com. Retrieved 2011-10-30. ↑ Pedro A. Malavet (2004). 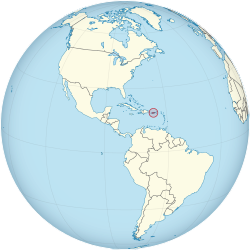 America's colony: the political and cultural conflict between the United States and Puerto Rico. NYU Press. pp. 43, 181 note 76. ISBN 978-0-8147-5680-5. ↑ Patricia Gherovici (2003). The Puerto Rican syndrome. Other Press, LLC. pp. 140–141. ISBN 978-1-892746-75-7.